Does your organization have sensitive data stored across the globe? Learn how understanding the global cyber threat landscape can help evaluate the potential risks of doing business in certain nations in this report. How do some of the most prominent nations on the international stage differ in cybersecurity performance? What impact can this have on businesses with global partners or operations? 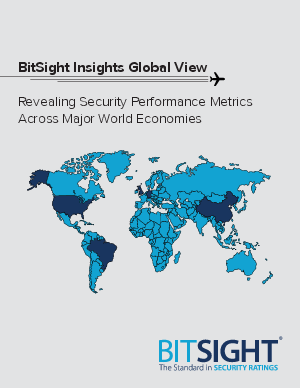 In its latest research report, BitSight studied the security performance of companies per country with more than 50% of their IP space in: The United States, United Kingdom, Germany, Brazil, China and Singapore. How global companies deal with threats such as botnet infections, SSL attacks, and Spam propagation. What businesses with a large global presence can do to mitigate cyber risk across their ecosystem.